Nobody knows pop-up displays like Nomadic! We invented pop-up technology. You can count on our Instand® pop-up display to save you time and money on expenses associated with traditional trade show booths such as: transportation, drayage and set-up. 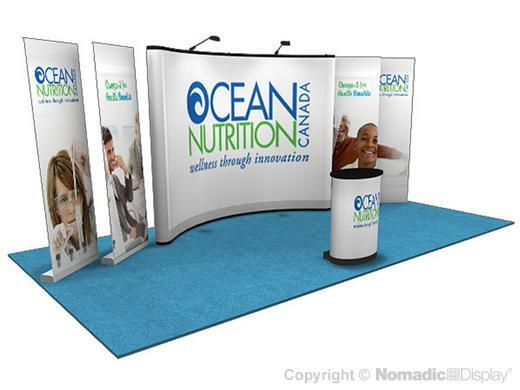 Our 20' display rental features four banner stands and a display counter so you can multiply your brand visibility through high impact trade show booth graphics.